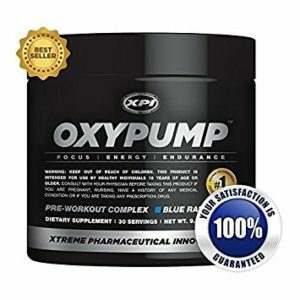 OxyPump Review - How Safe and Effective is this Pre-workout Supplement? XPI OxyPump Review – How Does it Work? Home » Male Health » Bodybuilding Supplement » XPI OxyPump Review – How Does it Work? Although recently released, OxyPump may be the supplement you need to work your hardest. OxyPump is a pre-workout supplement that restores nitric oxide levels, eliminates fatigue, and increases energy. At $49.95 a bottle on the official website, is OxyPump worth the price? Let’s look a bit closer to find out. Examining OxyPump’s ingredients can help us see if this supplement has what it takes to pump you up. OxyPump manufacturers have selected two vitamins to assist exercise performance. Vitamin B12 (3000 mcg). Vitamin B12 is involved in fat and protein metabolism. Vitamin B12 deficiency reduces endurance work performance, so keeping adequate levels of this vitamin is crucial to athletic performance. The OxyPump Proprietary Blend contains ingredients to boost energy and performance, including two matrices of arguably the most powerful pre-workout ingredients: arginine and creatine. OxyPump also includes two ingredients to enhance the formula’s potential. BioPerine (2.5 mg). 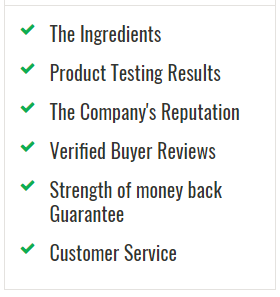 According to its official website, BioPerine enhances ingredient potency. Manufacturers recommend shaking the container before use. Next, mix 1 scoop with 4 to 8 oz. liquid and drink 30 to 45 minutes before working out. After the first 3 uses, you may increase dosage up to ½ scoop every 3 to 5 days. The ideal dosage falls between 1 and 3 scoops daily. But, do not exceed 3 scoops within 24 hours. Because OxyPump is such a powerful supplement, it’s important to exercise caution. For example, if you are under 18, have a medical condition, or are taking medications, make sure you talk to a doctor before using OxyPump. Because caffeine has such potent stimulant effects, using other stimulants or caffeine sources while taking OxyPump may enhance side effect risk. Also, make sure you are properly hydrated, consuming up to 125 fl. oz. per day for men and 91 fl. oz. per day for women. Creatine draws water into muscle cells, increasing dehydration risk. Some users may experience side effects, particularly if they are sensitive to caffeine. Caffeine side effects include increased heart rate and blood pressure, insomnia, and nausea. Arginine may also cause abdominal pain, bloating, and diarrhea in some users. But, generally speaking, OxyPump is safe to use. Is OxyPump an Elite Workout Supplement? So how does OxyPump check out as a pre-workout supplement? OxyPump has included only the most effective ingredients to enhance athletic performance. Chances are, this supplement will increase energy and improve athleticism. Watch out for side effects, but go ahead and give OxyPump a try and buy from Oxypump.com.